Kisung Koh uses his art as a means to opening gateways into nature’s spiritual dimensions, exploring the intimate connections he has formulated with wildlife during his lifetime. Over the course of years, this South Korean has had the honor of coming in close contact with many wild animals within their natural habitats and has become aware of these incredibly strong energies. 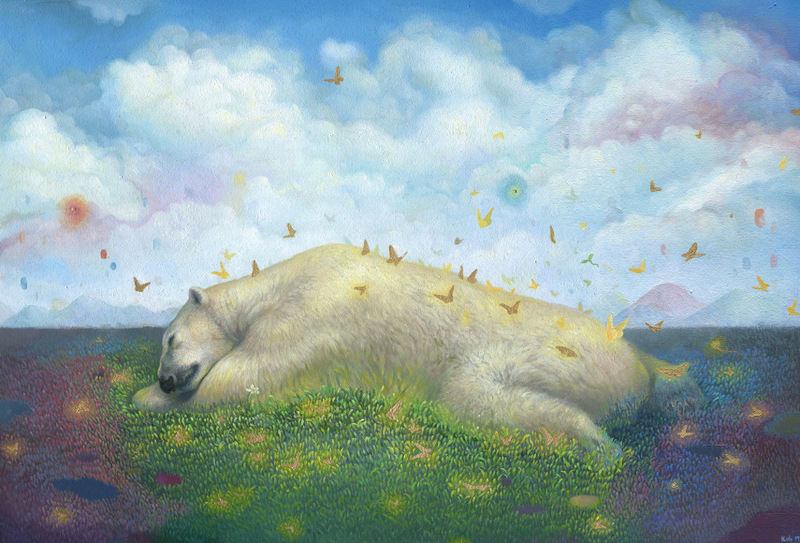 Drawing heavily on the memories and dreams provided by these sheer awe-inspiring spectacles, Koh pays tribute to the wild wonders he saw by creating imagery that is suggestive of the metaphysical energies and bonds which can exist between two living creatures, even when interacting from a distance. Kisung Koh was born during the year of 1985, in South Korea. He lived in his home country until 2006 when his entire family moved to Toronto, Canada. Based in a new nation with an entirely new culture, Kisung Koh needed some time to adjust. He eventually received a BAA in Illustration from Sheridan College, ON, Canada, receiving these honors in the year of 2012. Since then, he has been developing his technical skill and establishing a reputation within the art community of Canada. From the moment he became a professional artist, Koh has exhibited his art around the world and has become a much sought after name within the international scene. From day one, he has been finding inspiration in animals and natures, fascinated by their grace and harmony. Kisung Koh became noticed by art pundits thanks to his dreamy and imaginative places that featured animals, packed with mysterious spirits that make the depicted creatures seem safe. 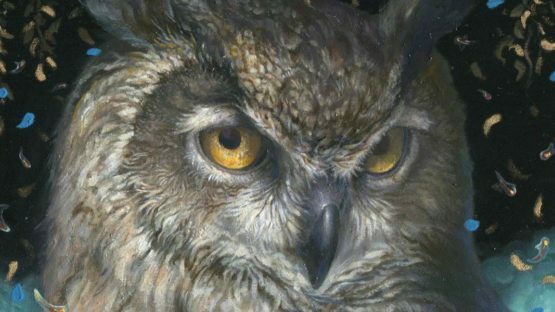 Such a practice culminated over time and is a result of a deep fascination with nature that followed this illustrator his whole life: There is nothing more beautiful than when you actually see a wild animal in nature. However, we rarely see them from where they are supposed to be and just don’t know how amazing they are to be alive. Exploring the spiritual potential of the wild and its stoic inhabitants, Koh draws comparable connections between the animal and human plights. Through his captivating and magical art, Koh captures the essence and the beauty of the natural world, reminding us that our relationships with it are often more precious and rewarding than we sometimes take the time to remember. This is a highly valuable lesson that needs to be heard as far and wide as possible – in the settings of the modern world, human beings often forget that we need to co-exist with other living beings and that we have a deeply rooted bond with the natural world. Koh reminds us about that fact and contributes to the struggle of preserving nature, making us re-discover all of its magic and beauties. 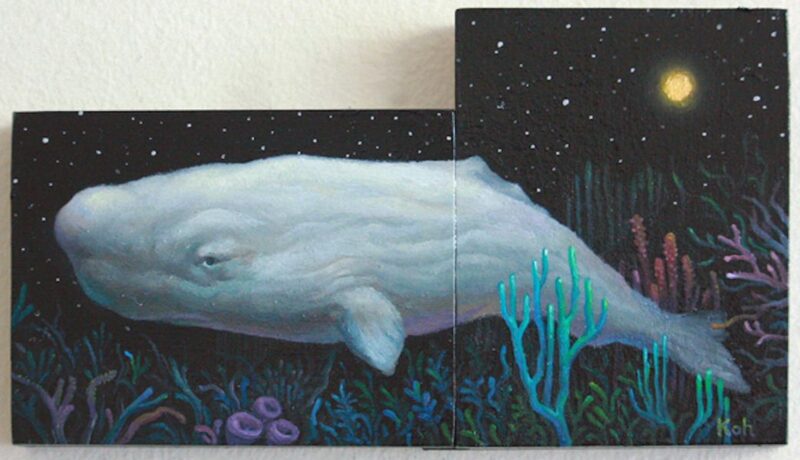 This artist is represented by Thinkspace Gallery. Kisung Koh lives and works in Toronto, Canada. All images courtesy of Thinkspace Gallery.